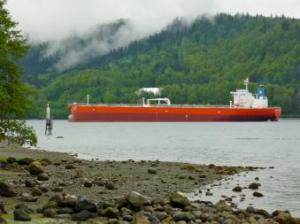 Vancouver – After more than a year of hearings, the National Energy Board panel reviewing Enbridge’s oil tanker and pipeline proposal completed the community hearings phase of its review. Presenters, ranging from a retired World Bank economist and the former CEO of BC Hydro to coast-guard trained oil spill experts and reverends, urged the panel to protect BC’s tourism industry and the province’s existing coastal economy. On February 2, nearly 100 volunteers attended Knock the Vote, a strategic canvass blitz organized by Dogwood Initiative and ForestEthics Advocacy in the provincial swing riding of Vancouver-Fairview, which was won by just 1,063 votes in the 2009 provincial election. Volunteer-driven Knock the Vote events are expected to happen across the province in the run-up to the provincial election, applying pressure on all parties to oppose the expansion of oil tanker traffic on BC’s coast.